Can Mom or Dad Afford Memory Care? Long-term care insurance: This will generally cover a portion of a resident’s stay in a memory care community. Coverage is highly customized, however, so you’ll need to check with your provider to determine the breadth of coverage. Secured Lines of Credit: Securing a line of credit can be arranged through your bank. It’s actually similar to a bank account. However, instead of making deposits, you borrow money against it. You can use it to pay for memory care services without having to renegotiate terms. Aid and Attendance (veterans): If your loved one (or his/her spouse) is a veteran, there is financial aid available to them. Depending on their particular policy it may help pay a portion of the cost for memory care. You can learn more about these programs at www.veteranaid.org. 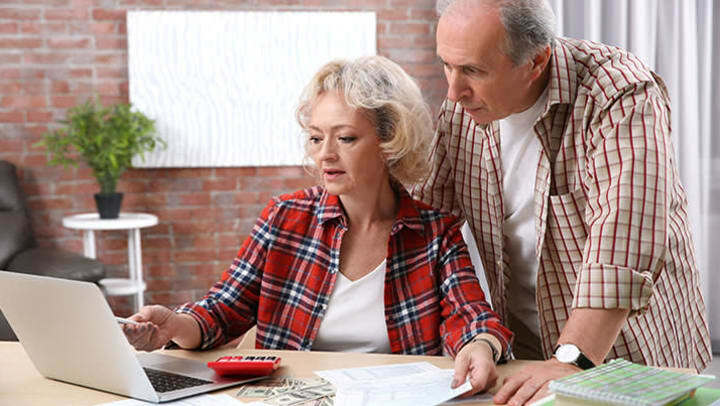 Reverse Mortgage: We’re hearing more and more about reverse mortgages these days as baby boomers age and seek additional sources of cash flow in their twilight years. It is a way to use the equity in your home to generate a monthly income. While it is a loan, repayment is deferred until the home is sold, the owner moves out or passes away. However, as long as a memory care resident still has a spouse living at home, they should be still be able to use a reverse mortgage to help pay the memory care cost. Life Insurance: There may be an opportunity to liquidate your loved one’s life insurance policy to help fund the costs of memory care. It is often preferable for those who want to keep other income sources intact. You can read more about the above funding sources here. We want you to know that we are here to help as well. Anthem Memory Care professionals have an in-depth understanding of financial resources and how residents use them to support their stay in our communities. We can help you untangle the confusing process of reviewing and executing the many forms needed by your insurance provider. We welcome you to contact us so that we can help you evaluate your situation and financial options.